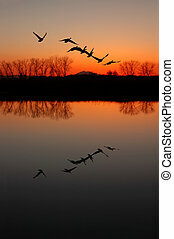 Geese and riparian reflection. 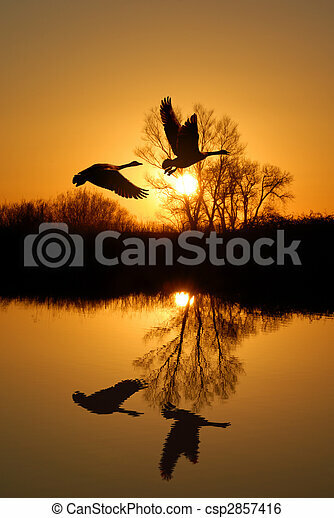 Reflected riparian tree and canadian geese in golden sunset. 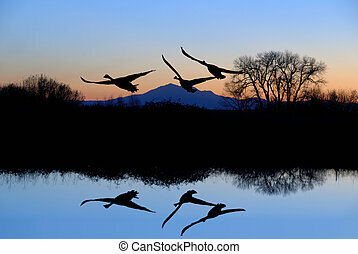 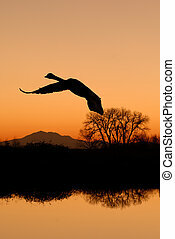 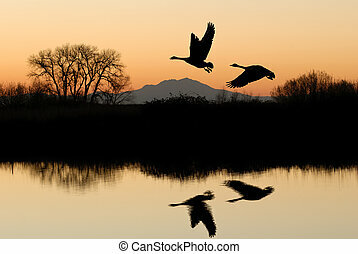 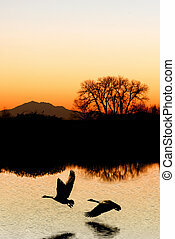 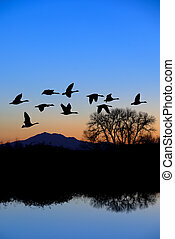 Canadian geese flying over riparian, pool, bare Winter trees, mountain peak, evening blue.